Every three months or so, Oleksy Talalai sets out after a week at home in Khmelnitsky, western Ukraine, on the 11-hour journey to Leszno, in the west of Poland, according to the Financial Times. Working in Leszno's thriving economy installing electricity cables, Mr. Talalai, 35, is part of one of Europe's biggest — but less-noticed — mass migrations: of Ukrainians into Poland, FT reported. "The main benefit of working in Poland is the money," he says. "Earnings in Poland are much higher. There's a crisis in Ukraine, prices are increasing. Everyone's looking where they can earn more." 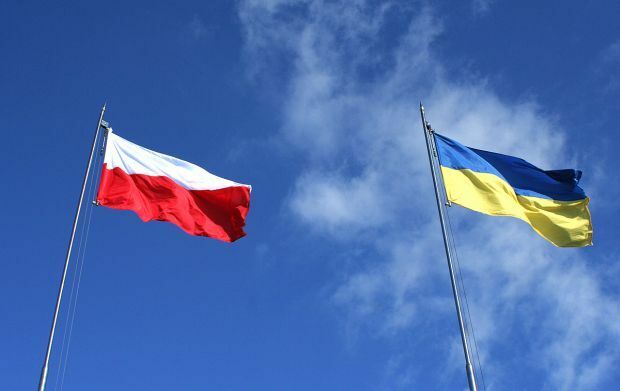 Almost 1.3 million Ukrainians last year received the temporary work registrations that Poland grants to citizens of its eastern neighbor, and 116,000 more received longer-term work permits. Both figures have leaped six-fold since 2013, driven largely by the economic slump that followed Ukraine's 2014 pro-western revolution and the Russian-fomented conflict in the country's east. For Poland's nationalist Law and Justice government, the Ukrainian influx is proving politically and economically useful. It helps parry EU criticisms over Warsaw's refusal to accept quotas for Middle Eastern migrants — and to fill labor shortages following the exodus of 2 million Poles seeking higher wages further west, shortages that could be exacerbated by current government policies. There are concerns in western Europe, however, that with the EU granting visa-free travel to Ukrainians from next month, similar inflows could be seen elsewhere. Poland may remain an exceptional case as, unlike most EU states, it has partially opened its labor market to Ukrainians. For now, Warsaw ministers are keen to draw parallels between Poland's absorption of Ukrainians and Germany's welcoming of 1m Syrian refugees in 2015. "I can't accept that Poland does not agree to accept migrants," Witold Waszczykowski, foreign minister, told this year's Munich Security Conference. "We just have a different geographical location and different migration pattern." In fact, unlike the Syrian exodus, most Ukrainian arrivals are not refugees fleeing the war-scarred east. Little over 6,000 Ukrainians have sought asylum in Poland since 2014, according to official figures. Close cultural ties and linguistic similarities — even if the two countries have sometimes had tricky relations — mean Ukrainians are easily assimilated. "Everyone wants to earn good money. I travel for work and so do Poles," shrugs Mr. Talalai. His research suggests the Ukrainian inflow has slowed Polish wage growth. That is good for competitiveness and attracting investors — but, in a perhaps ironic twist, it may fuel continued westward migration by Poles. Read alsoUkraine to launch train between Lviv and Krakow from August 1"Poles coming to Britain have helped the UK's demographic problem," says Mr. Wieladek. "Poland has the same demographic issue. One reason they started this registration scheme [for Ukrainians and others] in 2008 was because Poland was running out of workers in agriculture. In some sense, part of western Europe's demographic problem has been moved to Poland." He adds that Ukrainians also offset potential shortages caused by Law and Justice's social policies, including lowering the retirement age and paying generous child benefits that might prompt lower-paid mothers to stay at home. Not everyone welcomes the phenomenon. One government adviser calls it "absurd" that Poland spends large sums educating Poles who leave and must be replaced by workers from next door. But a survey by Work Service, an employment agency and consultancy, in February found one-third of companies in Poland had problems finding workers, especially blue-collar ones. Almost 40 per cent forecast they would hire Ukrainians. "Ukrainians earn the same wages as Poles, they're not cheap labor, as opposed to Poles hired in western Europe," says Blazej Madejski, vice-president of Pro-Net Media, which installs telecoms and electricity transmission lines and is Mr. Talalai's employer. "There are few Poles left in [construction] here as they work in the EU. Without the Ukrainians, our company couldn't be efficient." Yuri Kariagin, a Ukrainian with Polish origins who heads a Ukrainian workers' union in Poland, says that before 2014, many Ukrainians went to Russia to work. "Now the majority come to Poland," he says. "It's six months working, then back to their family with the money, to renovate the apartment, or help children with their education." Some Polish employers fear impending visa-free access for Ukrainians across the EU could tempt them to chase higher wages further west. But without employment rights, work opportunities will be mostly in the insecure shadow economy. Mr. Talalai is happy in Leszno. "Maybe you can earn more in other EU countries, but it's further away," he says. "Here, earnings are more than enough and I can visit home every few months. There's no place like home."